When I resumed this part of my hobbies I started by reading up on the subject to not feel too clumsy in the beginning. It turned out to be quite a long list with books, on-line links, and documents so I thought that this maight be useful for others as well. Enjoy! The following books is much recommendable. They give good guidance both on materials and ways of working. This classic is one of the best I have found. The author was not only a skilled production engineer, but also a very careful and good model builder and writer. The book describes what is necessary to know to make good use of both lathes and mills. It describes both bench work accessories as well as lathe accessories for machines of Myford/mini lathe size. Some can be scaled down to fit also an MJ-189. 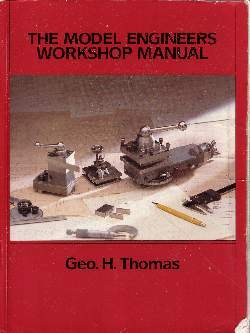 The same author has also written this volume in which he carefully describes the build and use of two very versatile and useful accessories for the model builder. The first is the Universal Pillar Tool - UPT, and the second is the Versatile Dividing Head - VDH. The UPT has been briefly described on other pages here and the VDH is a well functioning dividing apparatus for small lathes and mills and the means to make divisions to any number desired. Written by Tubal Cain, British model engineer. Describes the ways and means to heat treat steels for increased durability. From this book one soon learns how to make lathe tools that require heat treatment. Theory and practice is mixed to make it as easy as possible to explain the processes and convey the information. Tips and trix for how this is solved in ones own workshop is also included. Written by Martin Cleeve, yet another one of Britains more known model engineers and the designer of a number of very useful tools for screwcutting using a lathe. In addition to thread geometry and differences bewteen the different thread systems, the book deals with basically everything necessary to know to make outside or inside threads. In addition Martin Cleeve also describes a tool that simplifies making threads in the lathe by making possible to fold the tool away for measuring, and then fold it back for further machining wiothout disturbing the settings. Written by Ivan Law who describes geometry and theory concerning all aspects of gears of all shapes. With this book at hand even the unfamiliar user dares to attempt to make gears. Apart from describing how to make gears, there is also descriptions on how to make gear cutters for use in lathes or on the mill and also how to makwe them as accurate as required. Drawings and sketches support the dscriptions well. Written by Tubal Cain who describes springs as such and how to make them for ones own needs.Apart from theory there are several good moments for own practice as well as drawings and suggestions for tools that easil can be made to simplify the making of springs. Springs are more common than one thinks and it is good to know how to make ones own to cover for specific measures and other needs. Even more Tubal Cain. In this one he describes a number of small useful accessories to the hobby workshop, tools that make the work easier and increases precision. A lot is about holding small items and to mark out cutting lines or hole centres. Making use of the accessories it will be simple to get down to 1/100th of a mm in precision. Something that shows in the overall result. 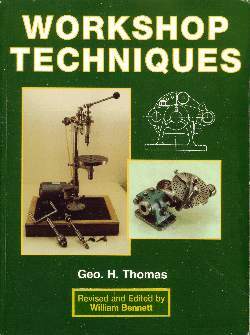 For a user of a Unimat 3, Unimat 4 or an MJ-189 lathe, this book is a small gold mine. The accessories described increase the machines versatility as well as provide good descriptions on ways of working. Most of the accessories are made on the machines themselves. On my part, I have made a few of the accessories and is very pleased. They all turned out as expected and are not difficult to scale up to fit also my C3 Mini Lathe. Written by Harold Hall, former editor of Model Engineers Workshop. 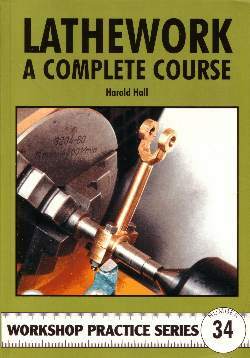 The book is a course on how to use a lathe and the described accessories are good and well working. Very recommendable. 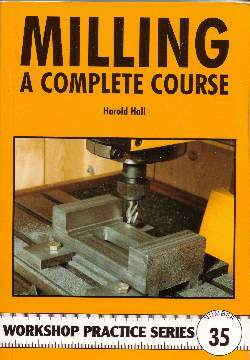 Another Harold Hall volume, but this time for how to use a small vertical mill which is probably the most common af the hobby machine users. It is written in the same way as for the lathe, and the result is that you know more about your mill than before reading and your collection of must have tools has expanded again. Also very recommendable! The last book here is teh Dividing by Harold Hall. With theory and practical examples it is a perfect companion to the GHT book on dividiuing above. He also describes a number of dividing appliances to make, a good alternative to keep costs down. The described accessories are also easy to modify should that be felt useful. Here are some useful online documents concerning machines and metal work. Översikt, hobbysvarvar - a collection of information on small and medium hobby lathes. The info is collected from the various manufacturers as well as other sources on the web. Here is a collection of links to useful suppliers af model engineering stuff. Ironbill AB - A Swedish web store for materials and cutting tools. Arc Euro Trade Ltd - A well known web store for machines and accessories . Chronos Ltd - Another UK web shop with lots of tooling and machines for the hobbyist. Fohrmann Werkzeuge - A German web shop with lots of special model tooling.